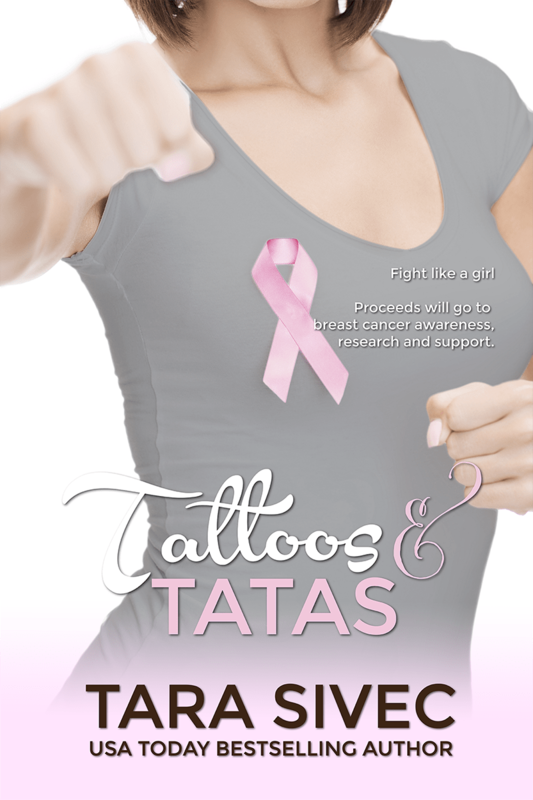 During the month of October, 100% of the proceeds from Tattoos and Tatas will be donated to breast cancer awareness. Claire and Liz have always had a friendship that defied the test of time, but when one of them is diagnosed with a disease that every woman fears, their bond is put through the wringer. How do you cope knowing your soul mate could be taken from you? Filled with memories of their life long friendship, inappropriate behavior, bad tattoos and shaving cats, the two friends will realize that laughter really is the best medicine. Tattoos and TaTas is not your typical love story; it’s a story of friendship and learning how to let go when something is beyond your control. MAKE YOUR DONATION AND GET A BOOK OUT OF IT! Tara Sivec is a USA Today best-selling author, wife, mother, chauffeur, maid, short-order cook, baby-sitter, and sarcasm expert. She lives in Ohio with her husband and two children and looks forward to the day when all three of them become adults and move out. After working in the brokerage business for fourteen years, Tara decided to pick up a pen and write instead of shoving it in her eye out of boredom. She is the author of the Playing with Fire series, the Chocolate Lovers series , the Chocoholics series, the Fool Me Once series, Burned and Watch Over Me. Her novel Seduction and Snacks won first place in the Indie Romance Convention Reader’s Choice Awards 2013 for Best Indie First Book and she was voted Best Indie Author in the Indie Romance Convention Reader’s Choice Awards 2014.